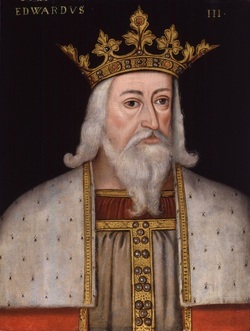 Edward III was born on November 13, 1312 and for the rest of his life he was a major enemy of the Scots. To start his political fame he led a protest against the ruler of England at the time and overthrew the kind in 1329, where he then took role of king. He then afterwards in 1333 tried to put Balliol on the Scottish throne instead of King David II, which then started what later became known as the Second Scottish War of Independence. He then betrayed England in 1337 when he proclaimed himself to be King of France, which then later was known for starting the One Hundred Years War between England and France, which from the results of these two events burned his bridges from Scotland and England, figuratively. He was given great resentment from the Scottish because he tried to order their government the way he thought it should be, thus firing up the Scottish unrest to have a desire to end control once and for all.